One night in February, students will be dressing up in bright colors and gathering at Richards Middle School for a fun dance for a great cause. Glowcoming is a new dance this year that’s informal. It will be a black lights, neon dance that students can come for 2 hours. The dance is an exciting time for students that student council have made and trying this year, hoping for a great time and new tradition for the school. “It’s like an informal dance and its black lights, and our main reason for having it is to raise money for charity for mental illness,” said Angelina Baglio, Junior that has been on student council for 2 years. The charity is for National Alliance On Mental Illness, where all profits will go towards research for mental illness. “All the money goes to helping kids with mental illness, and researching their mental illness to treat them. None of the money goes to us. All profits go to the charity,” said Marisa Sciriha, sophomore that been on student council for 2 years. The National Alliance On Mental Illness is a nationwide organization that helps many people with mental illness and problems since 1979. Student council are donating profits to the charity because they believe it’s important to spread awareness for mental problems and it affects many people. “It’s something that occurs among teens a lot and it’s a popular subject. It’s definitely not just an issue that just affect us, but affects everyone. We picked it because the charity can be more well rounded, and it affects and help more people,”said Jakobe Neal. Jakobe Neal is a sophomore student that been on student council for only a year and came up with the idea for Glowcoming. ”I came up with the idea, just out of nowhere, quite out of literally nowhere in the middle of a meeting,” Neal said. Glowcoming is the main event and charity for raising money for The National Alliance On Mental Illness, but there is more fundraisers during charity week. Charity week starts on February 5th to the 9th. The week will be a spirit week with other fundraisers and a dodgeball event. “There will be a spirit week, seminar pennywars, and a dodgeball tournament that week. The theme days for spirit week are PJ day for monday, tuesday is tye-dye, wednesday is fraser gear day, thursday is college day, and then friday is neon, which is the day of the dance and we thought that would go well together,” said Baglio. The dance is on February 9th and student council hopes it will be a exciting event for a good cause. “I think that it will be a really fun event, since students don’t have to worry about getting dressed up, and can come in casual and just have fun. I think it’s a great event for an important charity,” said Ms. Saputo, english teacher and advisor for student council. Student council hopes to raise a lot of money through all the fundraisers and charities. “The sky is the limit, we are going to raise as much as possible. We hope that it also continue next year,” said Neal. 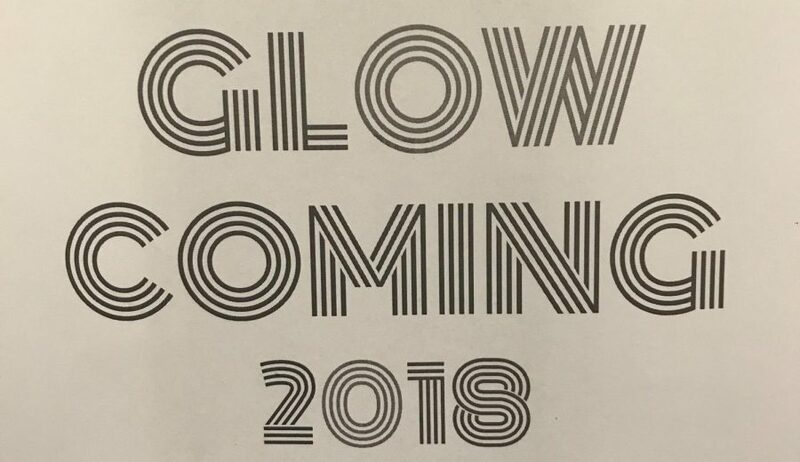 Since Glowcoming is a new idea that student council is trying this year, student council are going to see how well Glowcoming goes this year to determine the future of Glowcoming. “We are starting from the bottom this year and then we will see how it goes this year, then next year we will add more things, change things we didn’t’ like, and aim for a higher profit,” said Baglio. Student council hopes that Glowcoming will bring many students together. “We hope a lot of people come and enjoy it. Also that they want to come to next year Glowcoming,” said Sciriha. In the past, student council has tried to create a winter dance, but didn’t work out. They hope that Glowcoming will do well and continue. “I am hoping this will be an event that will continue in the future. I know that in the past that student council tried really hard to make some type of spring or winter event and it hasn’t worked out. So I’m hoping this will get things going for a new event that we do every year to bring the whole school together, “ said Saputo. Glowcoming tickets will start selling on January 16th and there will be 2 sessions of tickets sales. The first session, tickets will be sold in bundles with a Glowcoming shirt and a LED bracelet for $15. The second session starts on January 29th and will only sell tickets and a shirt for $20. Glowcoming is on February 9th and student council hopes many people come and have an amazing time.